Areas that contain much permafrost can look barren. But plants and animals prosper here in the summer days, when the top layer of frozen ground thaws. 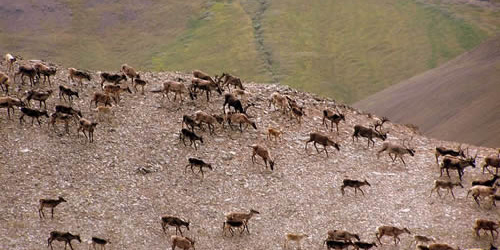 The caribou in this photograph, in the Noatak National Preserve, Alaska, are migrating in the early fall. Ecology is the study of the complex ways that living things interact with their environment. 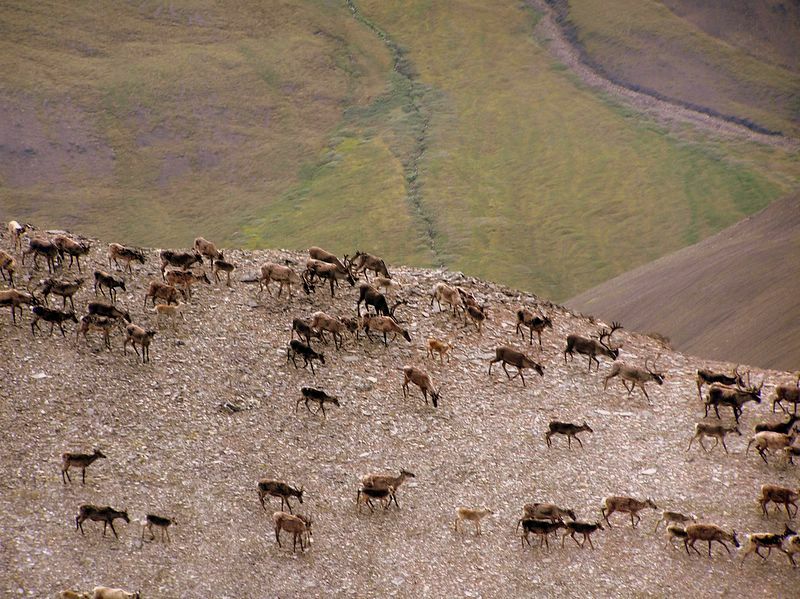 In places with frozen ground and permafrost, plants and animals have to deal with unique challenges. For example, how can an animal find water to drink if the water is frozen into ice? And how do a plant's roots stay alive in frozen ground? To survive in places with frozen soil, living things have evolved some interesting adaptations.